People in general don’t read classic literature. If you ever pick up a book it will most likely be a pulp fiction. After a long day’s work who has the energy to read anything substantial? You’re not going to tire yourself even more by reading long, tedious, nonsensical passages by obscure writers from the 19th century. So you think. How wrong can one be? Long, granted. Tedious, occasionally. Nonsensical, not a single one of them. In no way were authors of former times stupid. In actual fact, reading classic literature can be life changing. How come? Why bother to read something that was written hundreds of years ago? What relevance can it bear on my everyday struggle, also known as life? The reason is that these books teach you the meaning of being human. They teach you the way to interact with fellow humans. The epic poems of Homer, the Iliad and the Odyssey, contained everything there is to know about the human nature and heart as early as 2,800 years ago. Here’s a book that is more talked about than read nowadays. It’s really unfair, to say the least. Written by Don Miguel de Cervantes Saavedra exactly 400 years ago in two parts, it is not uncommonly ranked among the greatest novels of all time. That sounds strong, eh? There must be good reason for such a strong claim, right? There is. I’m not trying to write another review here. Literature scholars have done that countless times and will be doing so in the future. Having said that, allow me a couple of remarks that have been concocted by the neurons in my cerebral cortex about this timeless classic. Not many works of literature can boast phrases that most people recognize immediately. The adjective quixotic, for example, bears the following definition in the dictionary on my laptop: “exceedingly idealistic; unrealistic and impractical”. Also, it’s not too hard to deduce from the above passage the origin of the phrase tilting at windmills. This tome was my everyday companion for more than two months (I’m a slow reader). I felt a slight sadness upon turning the last page, but also a good deal of contentment at the same time. People are afraid of touching serious, thick books such as this one, but once you manage to surmount your (unwarranted) prejudice, you’d be surprised how quickly and completely it absorbs you. Is this book a burlesque of chivalry? Or is it the most persuasive of pleas for the chivalric attitude, apart from any specific time or institution? Is it a satire on dreamers? Or is it a defense of dreaming? Is it a symbol of the tragic soul and history of Spain? If so, why does it speak so clearly to men of all nations and races? Is it the author’s spiritual autobiography? A study of insanity? Or of a higher sanity? Or is it a dramatized treatise on illusion and reality? Finally, is Don Quixote a kind of actor, who chooses his role because by so doing he can absorb life and reflect on it in a way denied to the single, unvarying personality? It is easily one of my all-time favourite books. Jerry A. Coyne from the University of Chicago is a distinguished biologist of Speciation fame and a well-known figure in the intelligent design vs. evolution debate. He for some reason felt obliged to lay out the evidence for evolution, but unlike the one mentioned above, which is a highly technical textbook (co-authored with H. Allen Orr) and an embarrassingly difficult read even for professionals, Why Evolution Is True is a delightful book designed for the average reader. 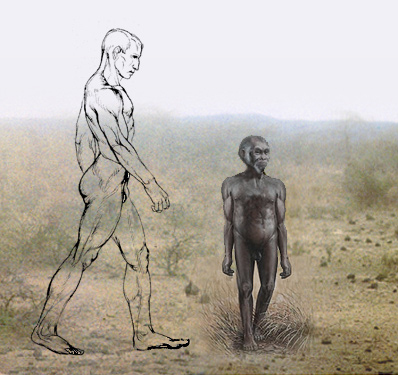 Isn’t this so-called ID-evolution debate already settled? Apparently not. Not in America, at any rate. While it’s not really an issue in Europe, a great number of people in the United States flatly reject evolution and literally interpret the Bible as the ultimate truth. But here’s the thing: the evidence for evolution is overwhelming. It’s there for all to see. Paleontology, geology, plate tectonics, biogeography, comparative anatomy, genetics, molecular biology – all these disciplines have their share to add to the ever-growing pile of evidence. You have to be blind or just plain stupid to deny it. At any rate, Dr. Coyne makes his attempt to impart this intelligence to the lay people. After explaining in the first chapter what evolution is, in the following chapters he makes his case clearly with numerous examples from the above disciplines. 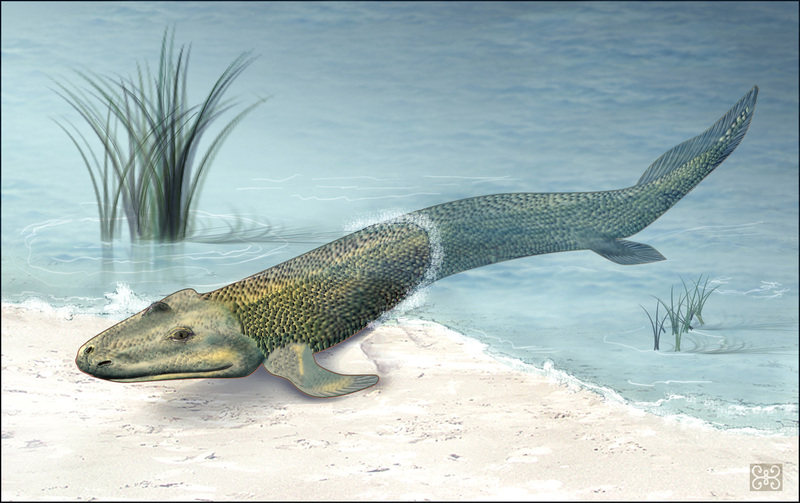 Chapter 2 deals with fossils, how paleontologists work, radioactive dating methods, prominent transitional fossils like Tiktaalik (fish to amphibian), Archaeopteryx (reptile to bird), Indohyus (an artiodactyl ancestor of whales). This is really just an excerpt. There are a lot more. Chapter 3 happens to contain my favourite example, one from ontogenesis. Not the easiest to understand, but I hadn’t known about it before. I recommend medical students pop this to their anatomy teacher: why the heck does our left recurrent pharyngeal nerve go all the way down to the heart and come back only to innervate the larynx? One of nature’s worst designs is shown by the recurrent laryngeal nerve of mammals. Running from the brain to the larynx, this nerve helps us speak and swallow. The curious thing is that it is much longer than it needs to be. Rather than taking a direct route from the brain to the larynx, a distance of about a foot in humans, the nerve runs down into our chest, loops around the aorta and a ligament derived from an artery, and then travels back up to connect to the larynx. It winds up being three feet long. In giraffes the nerve takes a similar path, but one that runs all the way down that long neck and back up again: a distance fifteen feet longer than the direct route! When I first heard about this strange nerve, I had trouble believing it. Wanting to see for myself, I mustered up my courage to make a trip to the human anatomy lab and inspect my first corpse. An obliging professor showed me the nerve, tracing its course with a pencil down the torso and back up to the throat. This circuitous path of the recurrent laryngeal nerve is not only poor design, but might even be maladaptive. That extra length makes it more prone to injury. It can, for example, be damaged by a blow to the chest, making it hard to talk or swallow. But the pathway makes sense when we understand how the recurrent laryngeal nerve evolved. Like the mammalian aorta itself, it descends from those branchial arches of our fishlike ancestors. In the early fishlike embryos of all vertebrates, the nerve runs from top to bottom alongside the blood vessel of the sixth branchial arch; it is a branch of the larger vagus nerve that travels along the back from the brain. And in adult fish, the nerve remains in that position, connecting the brain to the gills and helping them pump water. During our evolution, the blood vessel from the fifth arch disappeared, and the vessels from the fourth and sixth arches moved downward into the future torso so that they could become the aorta and a ligament connecting the aorta to the pulmonary artery. But the laryngeal nerve, still behind the sixth arch, had to remain connected to the embryonic structures that become the larynx, structures that remained near the brain. As the future aorta evolved backward toward the heart, the laryngeal nerve was forced to evolve backward along with it. It would have been more efficient for the nerve to detour around the aorta, breaking and then re-forming itself on a more direct course, but natural selection couldn’t manage that, for severing and rejoining a nerve is a step that reduces fitness. To keep up with the backward evolution of the aorta, the laryngeal nerve had to become long and recurrent. And that evolutionary path is recapitulated during development, since as embryos we begin with the ancestral fishlike pattern of nerves and blood vessels. In the end, we’re left with bad design. The following chapters deal with the geography of life, how animals came to live in the separate continents, island biogeography, bees killing giant hornets by heating them up to 80 degrees centigrade, evolution in the test tube, drug resistance, a whole chapter on sexual selection, speciation (the process of distinct species formation), population genetics, human evolution (including Homo floresiensis, the hobbit), etc. We are the one creature to whom natural selection has bequeathed a brain complex enough to comprehend the laws that govern the universe. And we should be proud that we are the only species that has figured out how we came to be. Gargantua and Pantagruel (La vie de Gargantua et de Pantagruel) is a French satire from the 16th century written by Francois Rabelais, a medical doctor. The tome consists of five books that chronicles the life history of two honourable giants, Gargantua and his son Pantagruel. The author is a ruthless social critic, sparing nobody from uppity academics to the clergy. Bawdy and extremely vulgar and violent at times, the stories revolve around the everyday routine of the giants and their sidekicks as they mock and tease everybody who is unfortunate enough to get in their way. It’s definitely not a novel, the chapters are loosely connected with not much of a plot. I laughed out loudly several times while reading it, I guarantee your eyes will not be left dry, should you give it a try. But to conclude: I affirm and maintain that there is no bottom-wiper like a downy young goose, provided that you hold its head between your legs. Believe me on my honour, for you can feel in your bumhole a mirifical voluptuousness, as much from the softness of its down as from the temperate heat of the young goose which is readily communicated to the arse-gut and the rest of the intestines until it reaches the region of the heart and the brain. And do not believe that the blessedness of the heroes and demi-gods in the Elysian Fields lies in their nectar, asphodel or ambrosia, as these old women would maintain: in my opinion it consists in the fact that they wipe their bums on a young goose. 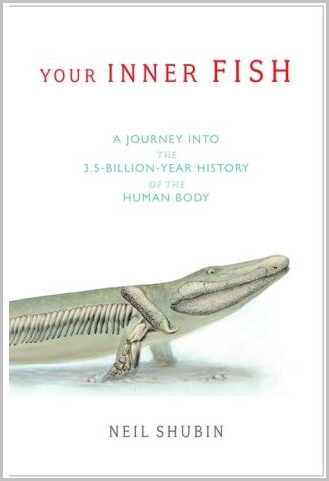 This little book reports the discovery of one of the most spectacular transitional fossils of recent years, that of Tiktaalik. It’s a fish that crawled ashore 375 million years ago with limbs and a skull that are more similar to those of terrestrial vertebrates. The author is a paleontologist who also happens to teach anatomy in a medical school. He claims that it would be far easier for students to comprehend seemingly illogical anatomical structures, if they looked into their actual phylogenetic past. Have you ever wondered, for example, what the three minute bones in your middle ear are doing? How did they get there? They used to be parts of the jaw of fish. The book is loaded with tons of plausible facts one wouldn’t find in anatomy textbooks. Highly recommended, especially to blockheaded medical students and practising physicians who don’t know the first thing about evolution through natural selection.